Guiding professionally since 2015 with Vail Valley Anglers. I have been fortunate enough to grow up fishing Colorado since I was a child. Exploring, hiking, camping and fishing all around Colorado with my family was how we spent many weekends and vacations. I spent 6 months fishing in and around Grand Teton and Yellowstone National Parks. 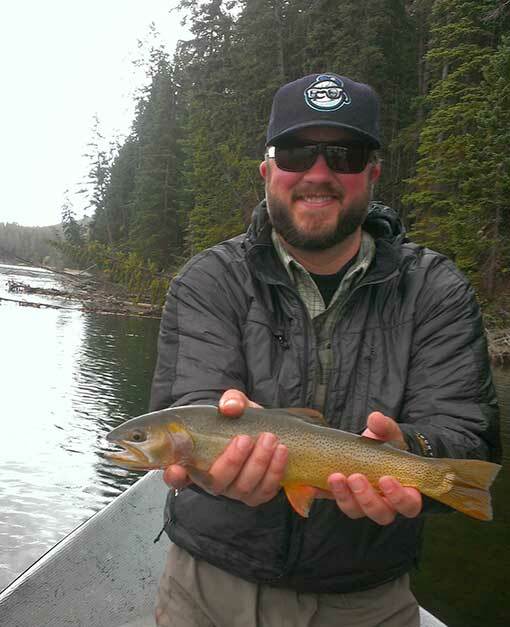 Fishing for wild Snake River and Yellowstone Cutthroats in such a remote and pristine place is simply the most amazing experience I have ever had fishing. Sharing with clients the experience of fly fishing in the place I am so fortunate to call home. The look on someone's face when they hook into their first trout, that pure joy crossed with total fear. I love it!